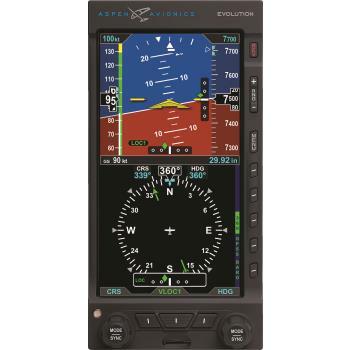 In any legacy aircraft equipped with steam gauges, the key piece of avionics is the six pack - comprised of the airspeed indicator, altimeter, vertical speed indicator, attitude indicator, heading indicator, and turn coordinator. While these vital components still perform their intended functions adequately, over time these mechanical instruments can and will fail. Replacement, however, is expensive as typically requires buying new hardware to replace one of these components. But why replace old technology with the same old technology, even if it does have a pretty new face? Fortunately, there is a low-cost upgrade for general aviation aircraft under 6,000 lbs that combines all these components into one glass display, all while compromising nothing and doing even more than you bargained for. Aspen Avionics’ new Dual Electronic Flight Instrument (EFI) the E5, allows for dated mechanical ‘steam gauges’ to be upgraded to a single glass panel display and allows for complete removal of your vacuum system. This improves situational awareness and reliability for flying in IFR and VFR conditions at a value price. 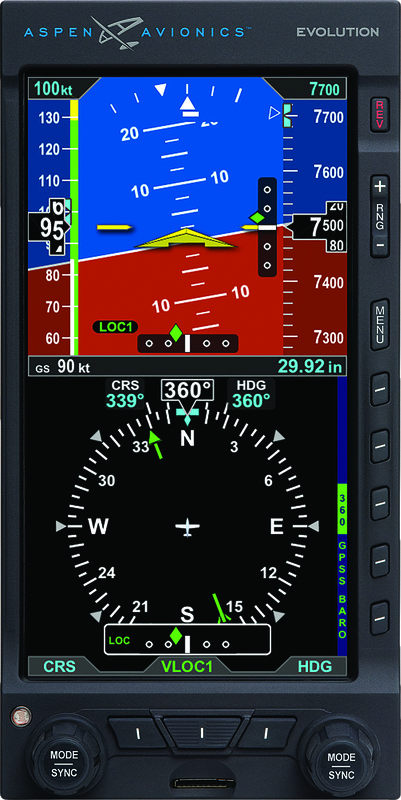 With legacy steam gauge information combined into one compact display, the cockpit layout is simplified, and the pilot’s visual scan is streamlined. Like all Aspen systems, the E5 will always be configurable, upgradeable, and affordable. Only Aspen gives you the option to perform affordable software updates rather than purchasing all new avionics hardware every few years. This solves the challenge of evolving cockpit technology now and later, by future-proofing the investment in your airplane today and for years to come. Both the price point and easy software upgrades are features unique to Aspen —benefits not available anywhere else in the industry. Best of all, you have the option to build your dream glass panel cockpit all at once or in stages. Built on the philosophy that avionics should be affordable, capable, and easy to own, Aspen’s core value and company promise started ten years ago – to develop avionics technology that shouldn’t break your budget, provide long-lasting value, and is easy to install. The way we look at it, getting the latest avionics technology shouldn’t always mean spending a lot of money—on equipment or installation.